Bridesmaids: Gosford Park, In the Bedroom, The Lord of the Rings: The Fellowship of the Ring, Moulin Rouge! Director: Ron Howard. 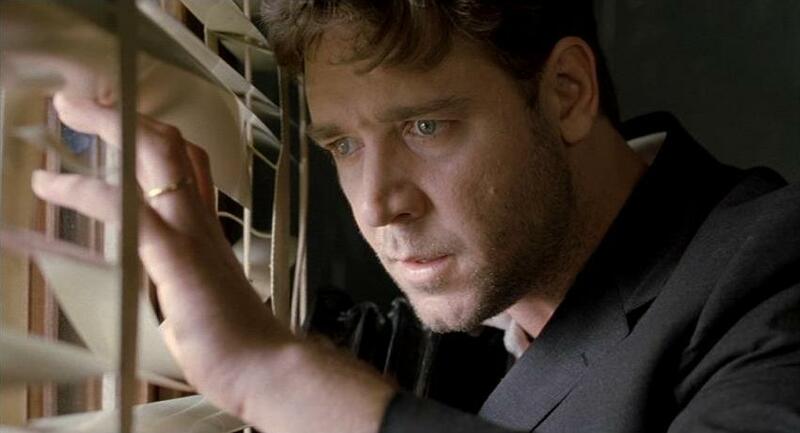 Cast: Russell Crowe, Jennifer Connelly, Ed Harris, Paul Bettany, Christopher Plummer, Adam Goldberg, Josh Lucas, Anthony Rapp, Judd Hirsch, Vivien Cardone, Austin Pendleton, Josh Pais, Alex Toma. Screenplay: Akiva Goldsman (based on the book by Sylvia Nasar).